Advancements in cosmetic medical technology have come a long way, making it possible to achieve results once thought impossible. Laser hair removal is one of the most popular cosmetic treatments in the U.S., as it allows men and women to remove unwanted body hair and prevent it from growing back. After just a few treatments, a person may be able to eliminate the need to constantly shave, wax or epilate. 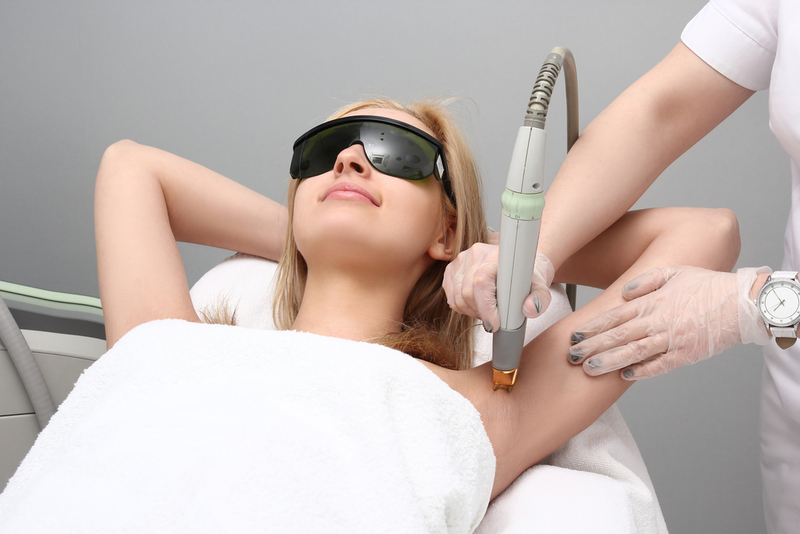 Did you know that interest in laser hair removal is at an all-time high? More and more people choose to remove unwanted body hair using laser hair removal every year. In fact, more than 1 million people opted for the treatment in 2011 alone. Most people who get laser hair removal are very satisfied with the results, with many achieving a permanent reduction in hair growth. In fact, nearly 9 in 10 people who get laser hair removal say that having gone through the process and experiencing the results for themselves, they would choose to do it again. Laser hair removal is appropriate for most people who are bothered or embarrassed by unwanted body or facial hair. The treatment can be administered on nearly any area of the body, including the chin, upper lip, underarms, and legs. While not right for everyone, modern laser hair removal is effective on many different skin types. For more information about laser hair removal and whether it could be right for you, contact our office to schedule a consultation. Laser hair removal is performed from the comfort of our clinic. We utilize a Syneron-Candela Gentle Yag laser which is appropriate for all skin types. You will wear protective eyewear, and a topical anesthetic may be applied to your skin prior to the procedure. A concentrated laser beam will be guided over the treatment area, targeting the dark pigment of each hair and killing the follicle beneath. Most people experience a noticeable reduction in the amount of hair re-growth after a single treatment, although additional treatments will be necessary to achieve optimal results. We typically recommend at least six laser hair removal sessions to achieve a significant reduction in growth. Results vary from person to person, but most candidates for laser hair removal will enjoy hair that becomes increasingly lighter and finer as the treatments progress. Additional sessions may be administered as necessary to maintain long-term results.